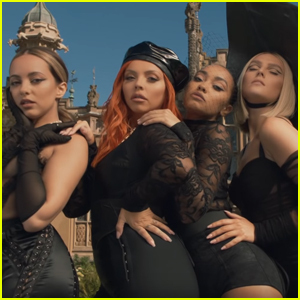 Little Mix Debut ‘Salute’ Video – Watch Now! | Jade Thirwall, Jesy Nelson, Leigh-Anne Pinnock, Little Mix, Perrie Edwards | Just Jared Jr.
Little Mix Debut 'Salute' Video - Watch Now! Little Mix get tough in their brand-new music video for “Salute”, the latest single off their album of the same name. “We’re very excited to present the #SaluteVideo,” the band tweeted with the official video and a link to the Salute bundle, just in case you don’t have the album yet. Don’t forget — Leigh-Anne Pinnock, Jesy Nelson, Jade Thirlwall, and Perrie Edwards — are coming to America later this fall on a tour! Little Mix Give Us A Taste of 'Black Magic' In Their New Video - Watch Here! Little Mix Spreads Their Wings During Blackpool Performance! 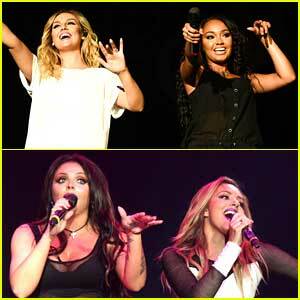 Little Mix Spreads Their 'Wings' for the First Show of Their UK Tour! Little Mix Hangs Out with Some Lucky Fans! Little Mix: Spice Girl's Mel C Appears in 'Word Up' Music Video!